The Chronometer certification is the rigorous testing that focus on the precision of the timepiece in accordance with the ISO 3159. In Switzerland, the Contrôle Officiel Suisse des Chronomètres (COSC) has the power to award these certificates. Based on the requirements of ISO 3159, the COSC has also drawn up a set of specifications for the testing of quartz movements. 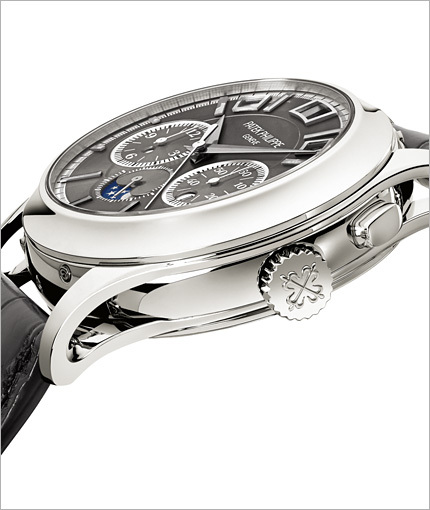 Founded in its current form in 1973, the COSC is a Swiss non-profit organization that tests Swiss-made chronometers. COSC is an acronym for the organization's French name, Contrôle Officiel Suisse des Chronomètres. The COSC was founded by five watchmaking cantons (administrative divisions, similar to states in the U.S.A.) of Switzerland: Bern, Geneva, Neuchâtel, Solothurn and Vaud, together with the Federation of the Swiss Watch Industry (FHS). It encompasses the laboratories/observatories that had been created independently of each other from the late 19th century. Three laboratories now test the movements submitted by individual watch manufacturers to be granted chronometer status. 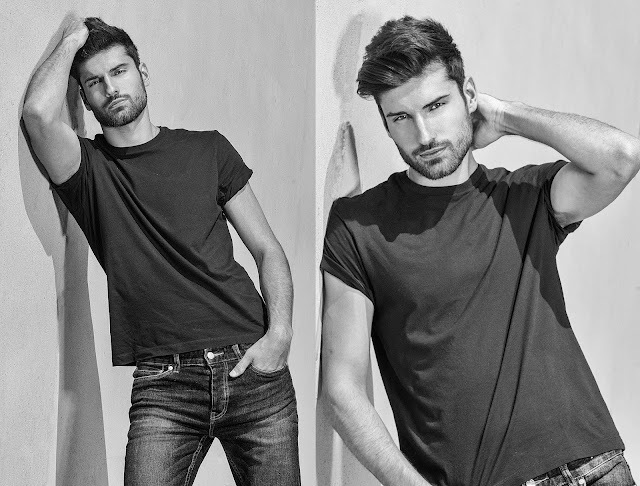 They are in Biel/Bienne, Geneva and Le Locle. 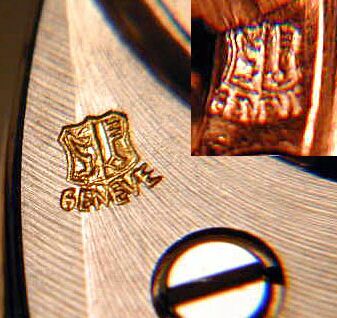 The Geneva and Biel laboratories are almost entirely devoted to testing Rolex movements. Although not all Rolex watches are chronometers, Breitling has claimed that since 2000 all of its production is COSC certified. Omega also has much of its production certified. Each officially certified COSC chronometer is identified by a serial number engraved on its movement and a certification number given by the COSC. 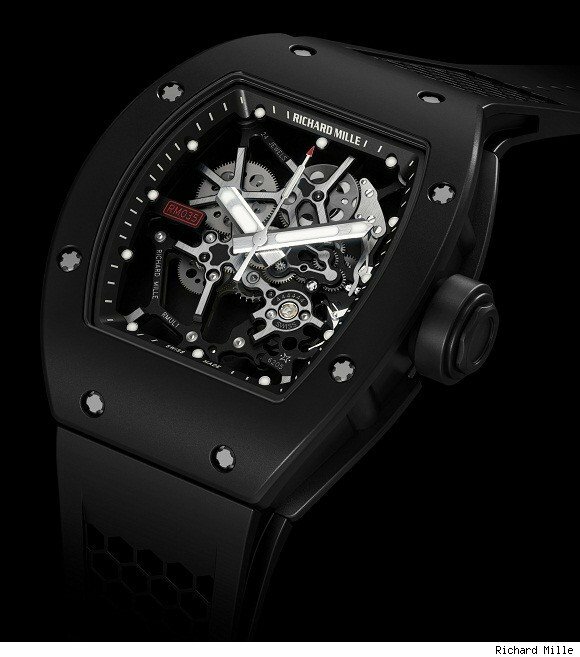 But each manufacturer decide whether to reveal the results gathered during the certification process of the movement. For example, Breitling do supply all their watches with COSC Certificates (all Breitling watches since 2000 are Certified chronometers) however Rolex and Omega do not supply even their chronometer certified watches (not all their watches are certified chronometers) with the COSC certificates. Omega however can provide the COSC chronometer certificate if asked. Over a million official chronometer certificates are delivered each year, representing only 3% of the Swiss watch production, a proportion that underscores the exceptional nature of a chronometer. To earn chronometer certification, a movement must not only be made from the highest quality components, but also be the object of special care on part of the finest watchmakers and timers during assembly. 1) the good workmanship of all the parts of the caliber, including those of the additional mechanisms, must be in conformity with the requirements of the office of voluntary inspection of the watches from Geneva. Steel parts must have polished angles and their visible surfaces smoothed down. Screw heads must be polished, with their slots and rims chamfered. 2) The entire movement must jeweled with ruby jewels set in polished holes, including the going train and escape wheel. On the bridge side, the jewels must be olive-drilled with polished sinks. The jewel of the center wheel on the main plate is not required. 3) The hairspring should be pinned in a grooved plate with a stud having a rounded collar and cap. Mobile studs are permitted. 4) Split or fitted indexes are allowed with a holding system except in extra-thin calibers where the holding system is not required. 5) regulating systems with balance with radius of variable gyration are allowed insofar as they meet the conditions of article 3, subparagraph 1. 6) The wheels of the going train must be chamfered above and below and have a polished sink. In wheels 0.15 mm thick or less, a single chamfer is allowed on the bridge side. 7) In wheel assemblies, the pivot shanks and the faces of the pinion leaves must be polished. 8 )The escape wheel has to be light, not more than 0.16 mm thick in large calibers and 0.13 mm in calibers under 18 mm, and its locking-faces must be polished. 9) The angle traversed by the pallet lever is to be limited by fixed banking walls and not pins or studs. 10) shock protected movements are accepted. 11)the ratchet and crown wheels must be finished in accordance with registered patterns. 12) wire springs are not allowed. 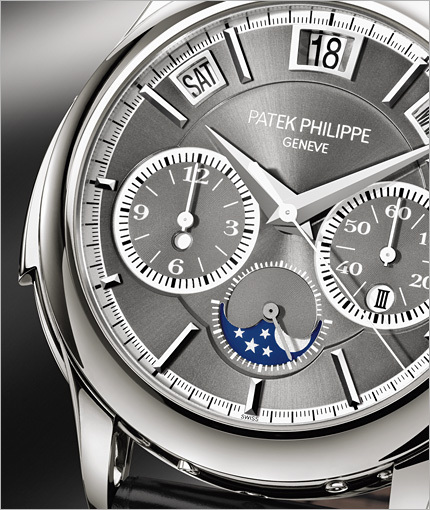 The new Triple Complication Reference 5208 is the first Patek Philippe wristwatch to combine a chronograph, a minute repeater, and an instantaneous perpetual calendar with aperture displays. Its case features delicately pierced lugs. 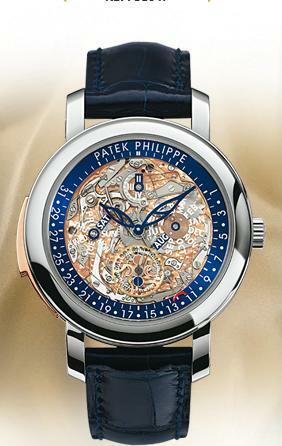 It is also the workshops' first Grand Complication with a Spiromax® balance spring and a Pulsomax® escapement, two silicon-based innovations pioneered by Patek Philippe. Caliber R 27 PS . Mechanical self-winding movement. 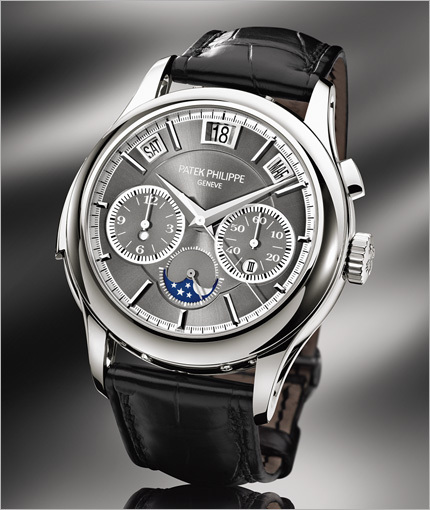 Minute repeater. Chime with two gongs activated by a slide piece in the case. Interchangeable full back and sapphire crystal case back. Case diameter: 38.00 mm. Acclaimed by collectors for the reverberant and pure sound of its cathedral gongs, the extra large Ref. 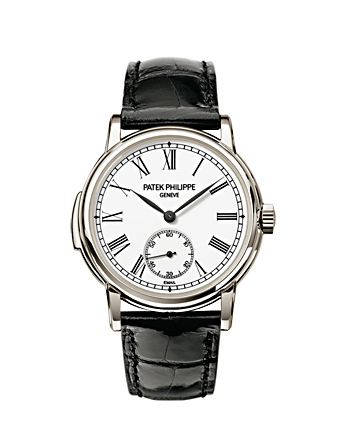 5074 minute repeater launched in 2001 makes a fresh debut in a new platinum version with a shiny black dial.